Intensifies red coloring in plumage and encourages feather growth inc canaries. Ensures a bird is gettting those vital essentials for good health and condition. A trouble-free vitamin supplement in water-dispersible powder form. NEKTON-R-Beta should be stored dry and out of sunlight, between 15 and 25 degrees C.
Store in a cool, dark and dry place. 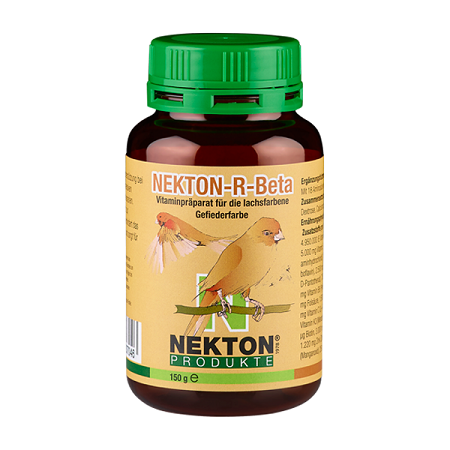 In an unopened container and correctly stored the vitamins in NEKTON R Beta remain effective until date of expiry, see extra label.